About Us - A.E.Vancouver Private Tours & Charters Inc.
A.E. Vancouver Private Tours & Charters Inc. (formerly known as: Alfred’s Guest Services, Private Tours) offers fully narrated, private tours and custom charters for individuals, small groups (1 – 14 people) and families. Our size is small and our focus is you and your travelling companions. Both you, and your luggage are well cared for during your time with us. This emphasis on private, customized service, includes providing an itinerary reflecting your requirements. Our excursions can be as short as 3 hours, exploring the highlights of Vancouver, or with some additional time, we can include the North Shore (Capilano Suspension Bridge, Grouse Mountain etc). You can also enjoy full day sightseeing excursions to Victoria and the Butchart Gardens; Whistler, the site of the 2010 Winter Olympic & Paralympic Games; the Sea to Sky Corridor; sightseeing, transfers or shopping in Seattle, WA. A local Fraser Valley winery excursion offers you a well-deserved relaxing and enjoyable day while tasting some excellent wines. An arts & cultural excursion may produce some nice surprises in regards to the vibrant arts community in the Vancouver area. Pre/Post Alaskan cruise sightseeing excursions are available. You and your luggage will be picked up or dropped off at Vancouver International Airport (YVR) , Abbotsford Airport, your hotel or Canada Place Cruise Ship Terminal. You will explore the highlights of Vancouver and area before or after your Alaskan cruise-ship experience. 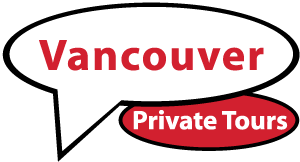 Vancouver Private Tours is a small, specialized local company. Our guides are intimately involved with all aspects of the company. Communication is key, not only with our clients, but also amongst each other. Insights, opinions, experiences are shared daily, ensuring that everyone is in sync for the benefit of our guests and visitors. We believe that the best way for you to experience this city and our west coast is through intimate interaction and unique insights. We use small, nondescript luxury SUVs and Vans to comfortably explore our areas of interest. Our unique business affords us tremendous flexibility. Unlike a traditional big bus tour, we are able to go into the neighbourhoods of the areas we are introducing you to, without disrupting the people who live there. Our guides extensively know the city and the areas we visit. While surprises will always happen, we do our best to ensure that all of our guests’ experiences are as full and enriched as possible. It is this philosophy, which we hold dear at Vancouver Private Tours that sets us apart. Our company is dedicated to ensuring your time with us is the most memorable of your trip, or, dare we say, of any of your trips!